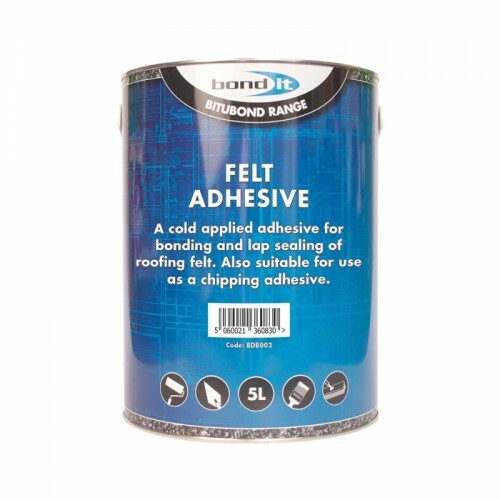 A cold applied, solvent-borne, heavy-duty adhesive for bonding all types of bituminous roofing felts to asphalt, felt, metal and concrete. It can be used for bonding mineral chippings to bituminous surfaces. Application by brush, mop or squeegee. See Technical Data Sheet for full application details.